Referring to the death of a character with an unusual nickname makes us want answers to ‘who’ and ‘why’. Who’s Bunny and why’s he dead? Tartt’s use of past-perfect tense (‘Bunny had been dead for several weeks before…’) extends the sense of mystery to the events following on from Bunny’s death. We intuit that we’ll find out not only how and why Bunny died but the aftermath, too. The first person plural in ‘our situation’ conjures a cast of shadowy characters in the background. This is a lot to compress into a first sentence. The opening teases us with unanswered questions, hinting at the narrator’s possible complicity (along with the involvement of other, not-yet-introduced characters). Many great novels open with narration or description that doesn’t immediately suggest the themes that will run throughout. There is no absolute ‘rule’ for first lines (other than to craft a good sentence). Yet many celebrated novels do open with lines that establish theme. Dickens’ first line is an excellent example of a catchy first sentence. The parallel construction contrasting extreme opposites is memorable due to its repetitive, poem-like structure. It also clearly establishes theme. It suggests the book’s preoccupation with historical processes (specifically the French Revolution). The societal extremes of poverty and wealth, power and powerlessness that Dickens examines are introduced by the polar opposites of his opening sentence. The opening sentence of Leo Tolstoy’s Anna Karenina (Constance Garnett translation) is another famous first line from classic fiction. Tolstoy’s first line introduces the domestic strife that drives the story’s tragic events, using a bold, sweeping statement. The opening line is effective for two reasons. On one hand, it makes a claim we might argue with. ‘Happy families are just as diverse as unhappy ones,’ we might object. Secondly, the opening sentence is well constructed. The opposition between happy and unhappy families has symmetry. The sentence structure draws our attention to this opposition. It’s clear structure makes us dwell on the statement and become curious about how this claim will be proven by the story. Mr. Jones, of the Manor Farm, had locked the hen-houses for the night, but was too drunk to remember to shut the pop-holes. Orwell shows his character making a mistake in the first line. Because Orwell mentions Jones’s oversight, it becomes significant – we surmise there will be consequences. Through this, an impending plot development (the animals managing to meet and organize rebellion) is shown from the start. Rowling begins the book with light, humorous description of Harry’s cruel aunt and uncle. This choice is effective because Rowling continues to labour the fact that the Dursleys are completely normal, and this alerts us to (and creates contrast with) anything that departs from this idea of normality (as Rowling’s magical world of wizards does). Besides establishing a light tone fitting for a YA fantasy novel, Rowling’s opening establishes the contrasts between the fantastical world Harry discovers and the oppressively ‘normal’ muggle/non-magical world he grew up in. 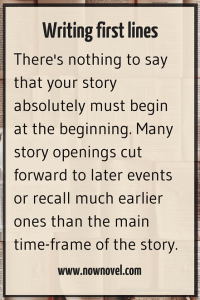 There’s nothing to say that your story absolutely must begin at the beginning. 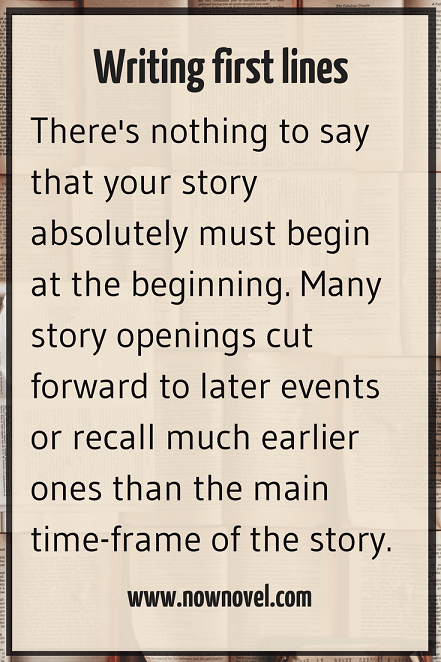 Many story openings cut forward to later events or recall much earlier ones than the main time-frame of the story. There are many reasons why Marquez’s opening sentence works. We have a sense of the character’s future from the start, and it’s a dramatic, unusual future. Why will Buendia face the firing squad? This is something we read on to find out. Marquez’s first line is a strong example of clever opening lines because it looks forwards and back simultaneously. We have a sense of the character’s nostalgia for the past (his excursion with his father) along with the ominous future that awaits him. We know we’ll find out more about the character’s curious past and future if we continue. Inviting opening lines of novels lay down context for the events that follow. We’re introduced to a setting or a point in narrative time. When he was nearly thirteen my brother Jem got his arm badly broken at the elbow. The line itself perhaps doesn’t rank with the greatest openings of all time: it’s simple and doesn’t tease any great mystery. Yet it’s precisely this simplicity and the family-oriented voice of Scout that leads us into the story. Scout reports the events of the story, from the racist trial at the story’s heart to the antics of the town recluse, Boo Radley. Scout as narrator is a witness to the pain of others: Her brother’s arm, her father’s engagement with social injustice, or the trauma of Boo Radley. As Jeff O’Neal says in his close reading of Lee’s opening line, Scout establishes her journalistic ‘position as witness and reporter’. From the opening line we start forming a sense of Scout’s young but mature, empathetic character. Holden’s words come across as sarcastic and world-weary, creating a vivid portrait of a disaffected teen. 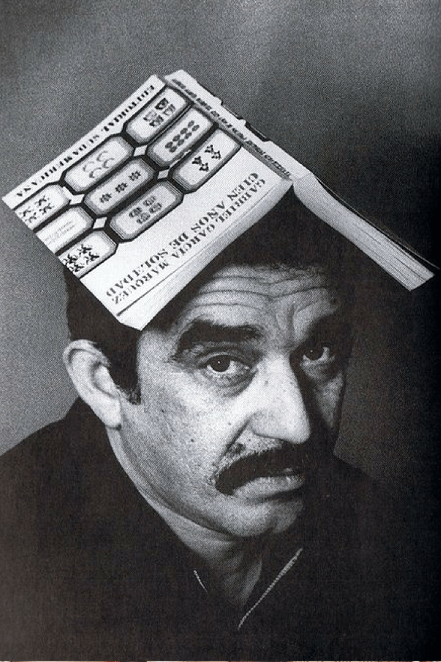 The direct address to the reader takes the reader into the narrator’s confidence, rapidly establishing intimacy, too. This inviting voice gets us to invest emotionally in the narrator quickly. What are your favourite famous first lines? Paste them in the comments. Once you have a great opening line, you still need the rest of the scene to deliver. 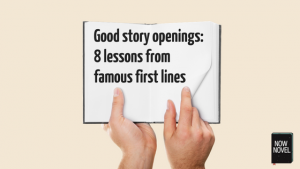 Go here to get your free guide to beginning, developing and ending compelling scenes.